Why only have one wedding cake when each of your guests can have their OWN wedding cake! Individual mini cakes add a fun, modern twist to just about any celebration. And did I mention they are a feast for both your eyes and taste buds alike? Everyone deserves a slice of the sweet life- whether they decide to eat it, Instagram it or take it home for a rainy day. 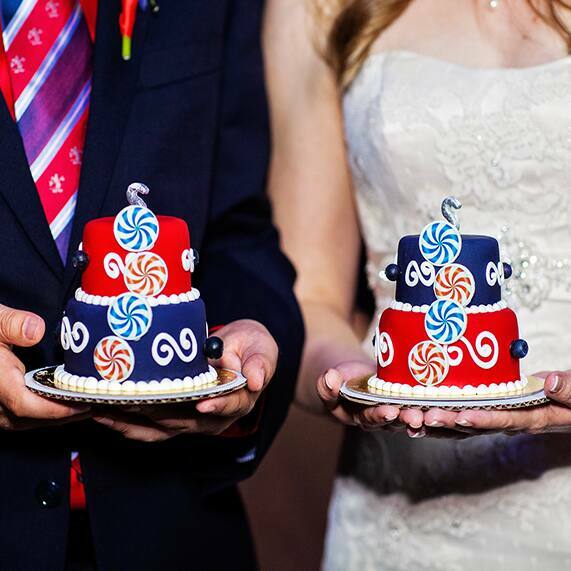 For more information on mini wedding cakes, be sure to ask your Disney Wedding Planner.